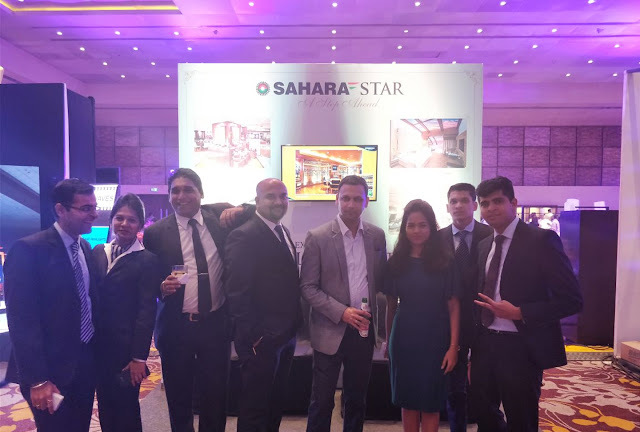 27th April,2018, Mumbai: Sahara Star Hotel, one of the leading 5 star Hotel in Mumbai hosted Event Show Asia by Eventfaqs, Asia's Definitive Discovery Platform For Event Trends And Innovations. An initiative by Eventfaqs in association with EEMA, the event was hosted with full glam and glory by the Hotel. event planners looking for something ‘NEW & INOVATIVE’. The exhibitor’s profiles comprised of people from various industries such as design and décor, travel and hospitality, event technology, merchandise, food and bar services among others. The visitor’s profiles included event + wedding planners, festival organizers, entertainment agencies, mice + travel agencies and hoteliers amongst others. The event provided an unparalleled networking and learning with over three hundred industry leaders who are on top of the game. There were sessions designed to encourage and promote the brightest companies in the space. It also saw panel discussions, workshops and entertainment as part of the activities at the event.